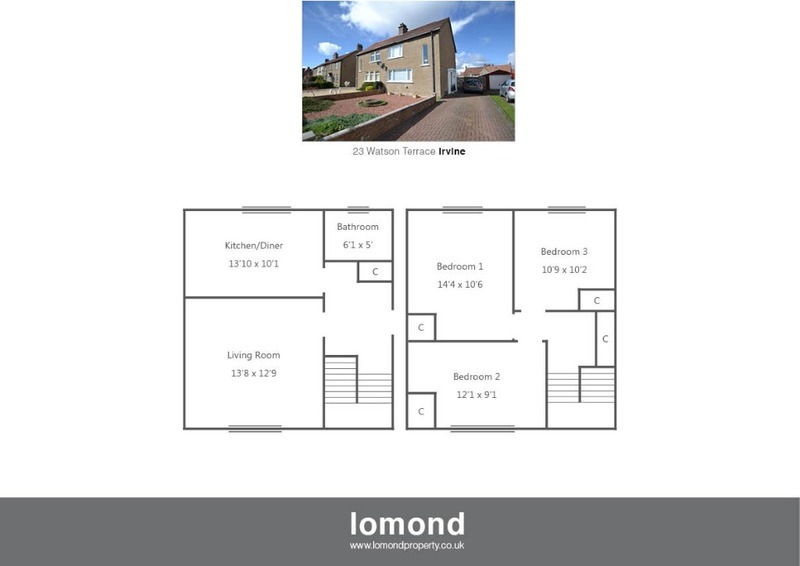 Situated just a short walk from the town centre, and local schools, 23 Watson Terrace has undergone an extensive renovation to create a wonderful family home over two levels. The property comprises three double bedrooms, lounge, dining kitchen, and family bathroom. Externally the property comes with off street parking, and generous garden grounds to the front and rear. The upper levels houses three bedrooms, all of which are doubles. Bedroom 1 &2 come with fitted cupboard space. The property benefits from gas central heating and newly fitted double glazing. Watson Terrace is a pleasant residential area. Irvine town is close by and provides access to a range of amenities including supermarkets, bars, restaurants and town centre shopping. There are a number of local primary and secondary schools within the greater Irvine area.